Spray 10-inch nonstick skillet with cooking spray; heat over medium-high heat. 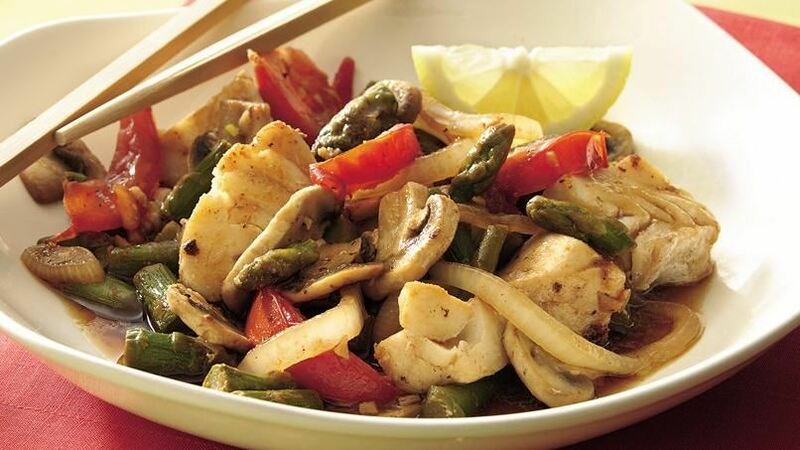 Add fish, onion, garlic, gingerroot and asparagus; cook and stir 2 to 3 minutes or until fish almost flakes with fork. Carefully stir in remaining ingredients. Cook until fish flakes easily with fork and mixture is thoroughly heated. Serve with additional soy sauce.